El Turco. The Turk. This was the moniker Arda Turan was given after his stellar first year in Spain, being a key player at Diego Simeone’s Atlético de Madrid. Wearing the iconic no.10 shirt, he played an essential part in the club’s transition from a midtable side to the champions of Spain. He signed sponsorship deals with Nike, and big Turkish companies like Opet and Lassa during his 4-year stint with Los Colchoneros, and became, without a doubt, the best Turkish player in football. He was a superstar, and he looked like he would be recognized as the greatest Turkish footballer of all time when he retired. With an incredible dribbling ability and an eye for the goal, he enchanted the Vicente Calderón faithful night after night. After winning La Liga with Atlético, he started to attract attention from European giants like Chelsea, Arsenal and of course, Barcelona. In the summer of 2015, he became the 7th most expensive signing in FC Barcelona history–and the most expensive Turkish player of all time, having made the move for €34 million. He was on top of the world, but little did he know, it was the beginning of the end for El Turco. Barcelona had a transfer ban during the 2015 summer window, meaning Turan was unable to be registered as a Barcelona player, and thus, unable to play, until January 2016. He played his first ever game for the club on January 6, starting against Espanyol. He showed promise during those first few months; he looked like a useful option to have off the bench, to support Barcelona’s menacing front three. The following season, he scored a hat-trick against Borussia Mönchengladbach in the Champions League, becoming the sixth Barca player to do so. When Neymar Jr. was leading Brazil to Olympic gold, Turan filled in the gap seamlessly, working well with Lionel Messi and Luis Suárez. In addition, he continued as one of the most famous figures in Turkey: he was constantly appearing in commercials, constantly doing magazine interviews, and constantly making the front-page news…for the right reasons. Turan was loved because of his nature: he was as humble as he was talented. However, with this constant media attention, he began to develop an ego. Back in Atlético, you would never see him brag about being the best player in the team, or boast about his feats in Spain. The new Arda Turan was a different person; he even said in an interview that a player like him only comes around once every hundred years. This increasing egotism began to affect his game as well. During Euro 2016, he was dubbed as Turkey’s most important player, yet he was so underwhelming that, for the first time, he began to land himself on the front-page news for all the wrong reasons. In the 244 minutes he played during the Euros, Turan, the creative talisman of Turkey, created just one chance. He was booed by his own fans, and he became a pariah for leading a player revolt against the Turkish Football Federation: they demanded the federation increase their bonuses from €150k a week to €650k a week. The federation ended up paying them €500k a week, and the fans believed they did not deserve such bonuses; Turkey, who were eliminated at the group stage, would see its players gain half a million euros per week, while the Euro winners, Portugal, took home just €275k a week in bonuses. After a disappointing Euro 2016, Turan returned to the Catalan capital again, hoping to make a big impact and become a regular starter for Los Blaugranas. Unfortunately, this time, things weren’t as they were used to be. He failed to perform and soon enough, he was nailed to the bench by Luis Enrique. After a dismal season for the club, El Turco became persona non grata amongst the fans; every Culé demanded for him to be sold. Things would only get worse from then on. In June 2017, the first major scandal broke out regarding Arda Turan. After a disappointing game which resulted in a draw against Macedonia, Turan assaulted 61-year old reporter Bilal Meşe, who criticized him about his performance during the Euros, and for being so stubborn about the bonuses. El Turco’s anger management problems began to rear its ugly head. He was about to face criminal charges, but federation chairman Yıldırım Demirören met with the reporter in private and convinced him not to press charges. Arda got lucky, but the FA was under fire for turning a blind eye to the assault, and soon, Arda Turan announced his retirement from the national team. He was at a crossroads both at club and international level; Barcelona appointed Ernesto Valverde during the summer of 2017, and Arda Turan was placed on the transfer list. He was unwanted and unneeded, and yet, he refused to leave. Whether it was because he wanted to fight for a spot in the team, or because he was unsatisfied with the wage offers, but he turned down potential moves from Turkey and England. And then, the inevitable happened; he was left out of the squad for the season. He didn’t play a single game, not even a cup game. He knew that he had to move on. Everyone waited with bated breath to see how he would perform. He hadn’t played a game of club football in nine months, but he was still the best Turkish player of his generation, and people wanted to believe that he still had some magic left in him. He made his debut against Bursaspor in the league, coming in on the 65th minute and scoring a goal. The following weeks he got his chances, and he delivered on them too. It seemed like he could finally go back to his old self. It seemed like he had finally broken through. On May 4th, 2018, Başakşehir faced Sivasspor, and they needed to win in order to keep their title hopes going. They took an early lead and looked like they would get the 3 points, but in injury time, Sivasspor equalized. It was chaos after that. Two minutes later after the equalizer, Turan got sent-off in abhorrent fashion. Unhappy about a call, he attacked the assistant referee, pushing him and making him fall down. He received a 16-game ban (which would be reduced to 10 games later by the arbitration board), the longest punishment ever issued to a player in Super Lïg. He would be suspended for the rest of the season, and a fair amount of the following season. The public opinion about Arda Turan is completely different from how it was three years ago. Back then, he was a source of pride amongst Turkish people, not of shame. He was the reason why the TV ratings for Barcelona and Atlético games were better than any other European game. But now, the Turkish people feel that he’s just a fool, a disgrace even. He is no longer a hero, he is a pariah. During the summer of 2018, Turan lived a quiet life. He wasn’t mentioned much in the news or the tabloids like he used to be. There were no photos of him leaving an expensive nightclub early in the morning or of him going to a fancy restaurant with his friends. He seemed like he had finally learned his lesson; spending time with his pregnant wife at home, living away from the spotlight. Maybe that was the turning point for him; the suspension could finally make him snap out of the deluded state he was in. Both sides came up with their own story in the following days. Arda claimed that he neither hit on Berkay’s wife nor attacked him all of a sudden. He claimed that Berkay aggressively grabbed his neck, and he overreacted during the argument because of the singer’s past actions – he had an affair in the past with Beşiktaş footballer Caner Erkin’s (who is one of Arda’s best mates) then wife. He claimed that he went to the hospital to talk with Berkay to see if he was okay. He also said that he was there to apologize to him. In other words, he denied the allegations. The next day, Berkay released a statement, telling his own side of the story. He said that the flirting did indeed happen, and that Arda attacked him out of the blue while he was talking with another person. He said that he wouldn’t press charges only if Arda fulfilled his two conditions: one, he wanted Arda to publicly apologize for the actions he had made and two, to tell the public that he felt genuine repentance about the alleged sexual misconduct. We don’t know what exactly happened that day but there are a few things that are certain. Berkay was rushed out with a broken nose as a result of Arda assaulting him, and a gunshot was fired at the hospital; both confirmed in the police report. 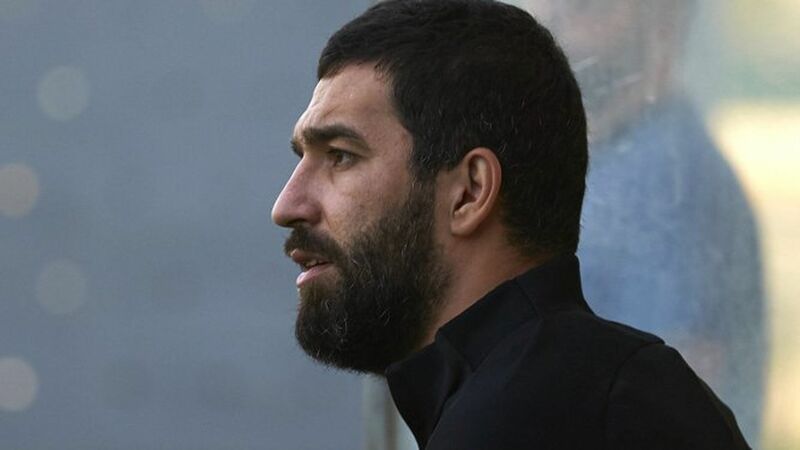 Now, Arda is facing criminal charges as the prosecutors are calling for a 12-and-a-half years sentence over two different crimes: malicious wounding and carrying a firearm without a license. If he gets even just the minimum sentence, his football career will be over as he is about to be 32. His public image is even worse now, as he faces backlash from the entire nation. Why would he leave his pregnant wife at home and go partying on his own? He’s about to be a father, why would he go out and hit on other women? So even if he’s not found guilty over these crimes, his life won’t be the same. Başakşehir FK have decided to fine him for 2.5 million Turkish liras, which is a record in Turkish football, as he has breached the disciplinary bylaws of the club by staying out late. The story is far from over, and Arda Turan’s future seems bleak. In three years, Arda Turan has gone from a national hero to a national villain. He has gone from possibly becoming the greatest Turkish player of all time, to possibly serving 12 years in prison. He might just go from playing in the biggest derby in football to playing jail-yard football. If there’s one lesson we can take away from the decline of Arda Turan, it’s this: when you take your blessings for granted, it won’t be too long until you’ll lose it all.